It is still more than a month away, but the racing world is already talking about nothing but Cheltenham. The historic festival gets underway at 1:30PM on 13th March with the Supreme Novice’s Hurdle, and from thereon in, it is action all the way through 28 races in which an estimated £500 million will be wagered. 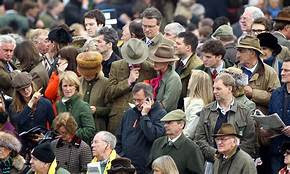 The tipsters are already in full flow and the odds are changing by the day, but one thing that has remained constant from the moment the runners were announced has been the view that Might Bite is the hot favourite for the Gold Cup. However, the bookie’s favourite is not always the tipster’s choice. The racing fanatics at cheltenhamfestival.net have studied the form to bring their experts picks for Cheltenham 2018 and have come up with some compelling each way tips for the showcase races. So set aside the favourites, here are their top choices from a little further down the card. Might Bite is becoming just too hot to handle and is now the runaway favourite at 3/2. There has been plenty of talk over whether Sizing John can repeat last year’s heroics, but the tipster’s choice is Native River. The Colin Tizzard trained gelding came in third last year, and has gone from strength to strength. At 10/1, it’s a highly tempting each way shot. There’s a general consensus that Nicky Henderson’s Buveur D’Air only has to turn up to collect yet another trophy for his illustrious trainer, and some bookies are offering just 1/2 on. If ever there was a race where the smart money is on an each way bet, this is it, and there is no better horse to place it on than Melon. The win at Down Royal in November was impressive, and the 8/1 odds are shortening by the day. To many, Ladies Day is what Cheltenham is all about, but it is not all hats and finery. The showcase race honours a certain lady who loved nothing more than a bet on the horses, and while Altior is the even money favourite, Great Field has attracted the attention of the tipsters at 14/1. Four wins last season, including a high profile win at Punchestown suggest he could just pull off a surprise, and he is certainly a tempting each way punt. On to St Patrick’s Day, and after quantum shifts in the early betting, Sam Spinner is now attracting the undivided attention of the bookmakers. Behind him, the field is evenly matched, but when pressed, the tipsters are leaning towards L’ami Serge. Nicky Henderson has a habit of producing winners at Cheltenham, and it is fair to assume that those 12/1 odds will not be around for long. There are 24 other races to bet on over the course of the Cheltenham Festival, so check in with the experts for more of their top tips. And remember, there is more to a race than who comes in first, so leave the rest to fight over the favourites, and keep watching out for those each way opportunities.